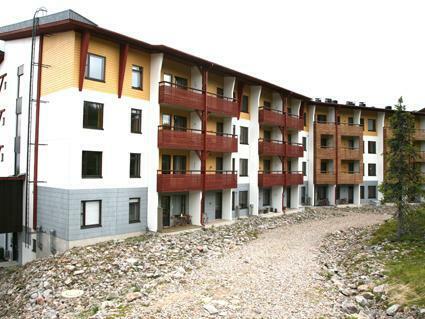 Apartment hotel located 165 km north of Rovaniemi in the Ylläsjärvi village Iso-Ylläs area, near the ski center. Built 2005. 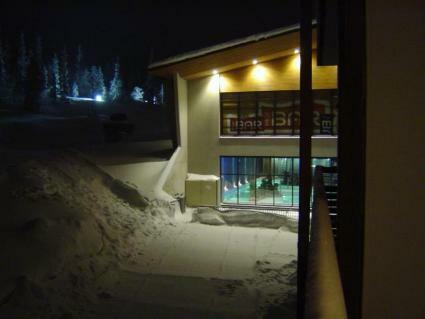 Bottom floor has a grocery store and storage space with ski maintenance room for the customers' use. 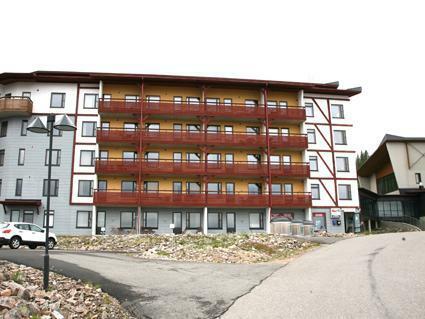 A connecting tunnel gives access to the swimming pools and spa and restaurant services of Hotel Ylläs-Saaga. 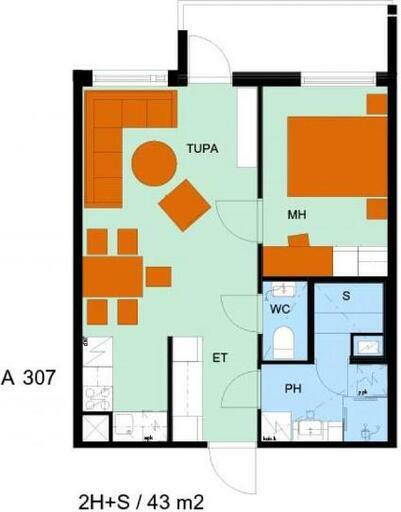 Apartment has one bedroom with two beds, livingroom with bed sofa, kitchen niche, sauna. 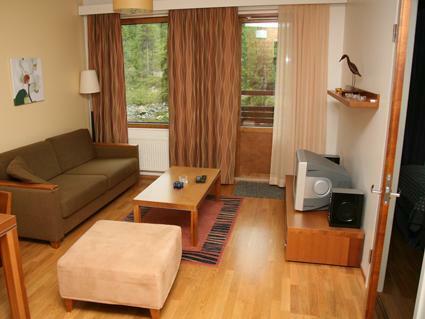 Apartment is located on the third floor so it has a great view of the slopes of Ylläs fell. PLEASE NOTICE THAT FROM 14.9. PETS ARE ALLOWED. Internet-connection (speed 1 Mb). Extra fee for pets. Max. 2 pets/ reservation.